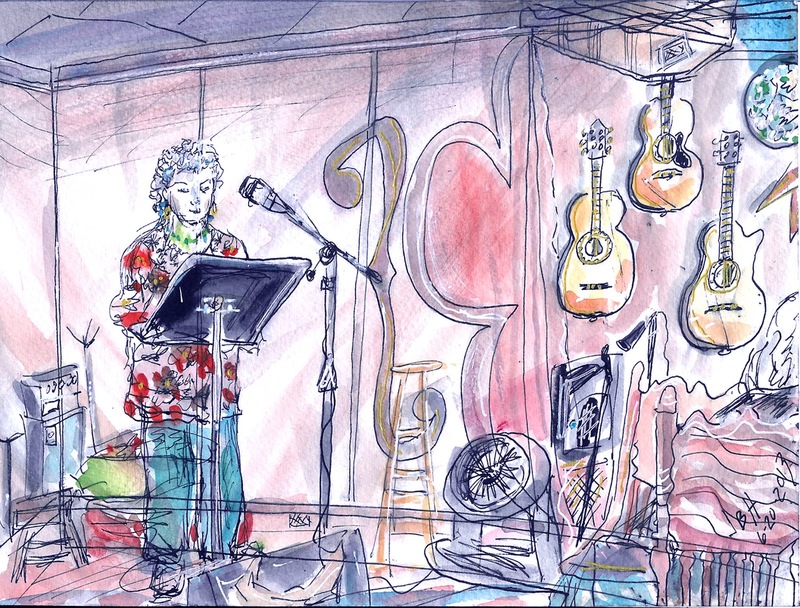 I went to a poetry reading tonight at Soul Food Books in Redmond. My mom, Esther Helfgott was one of the featured poets. It was a nice evening listening to my mom, her friend Joan Swift , and open micers read as I sipped my "Hippy on the Beach" tea latte. A relaxing evening with nice company, powerful poetry, and cool atmosphere. Great composition, Jackie, and a cool event. Your mom's a poet! Thanks Tina - Yes she is!